It means: integrate blowing-filling-capping in one machine. In this way no need bottle rinse, no need air conveyor and you can get measureable result savings on space, power and operator fees. 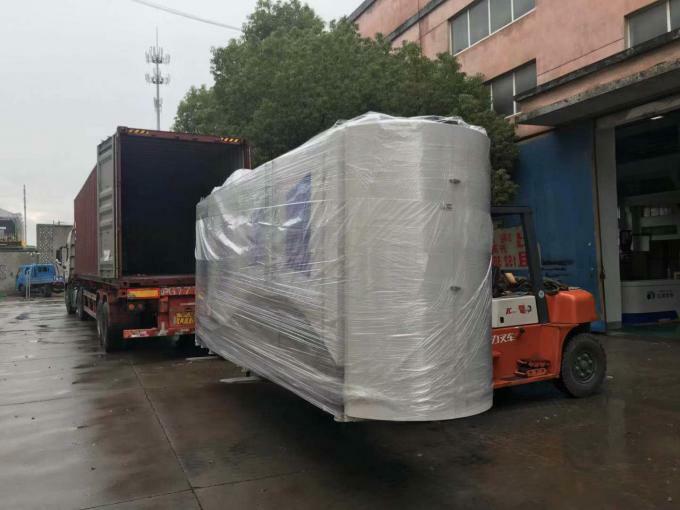 FG series linear combiblock is world’s first trying to give competitive and economical solutions for small and middle bottling factories. a. 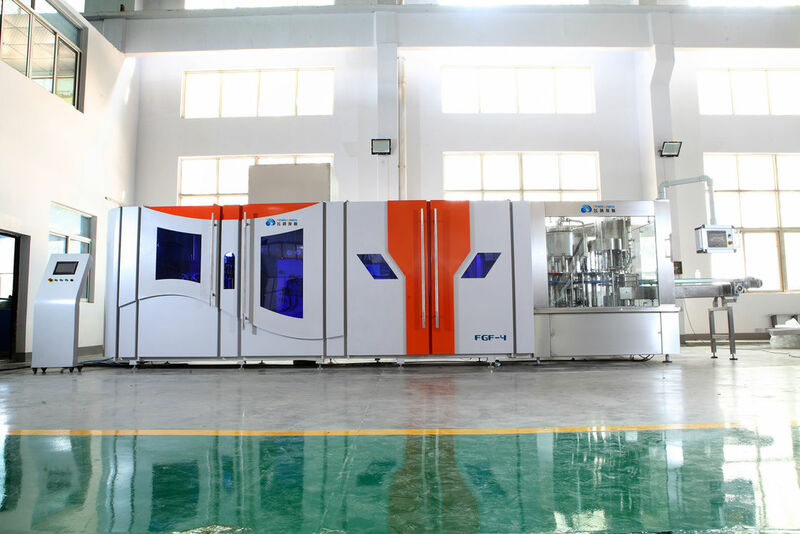 The equipment includes bottle rinser, filling, capping machine, rack, sealing window, main motor, drive system, transmission system of bottles, cap sorting device, and electric control system and more. b. The dumping gear of the bottle rinsing machine consists of water divider, bottle rinsing gripper, upper turntable, guide rail, protective shield, water-spraying device, water tray. c. The filling machine is mainly made up of chamber, filling valve, guide rail, hoisting device, bottle jamming elevating gear, etc. d. The cap-sealing machine consist of cap sorting machine, cap-setting guide rail and capping machine. e. The auxiliary machine(optional) have bottle rinsing water reflux tank, bottle-feeding air conveyor, and bottel outputting chain. Besides, we will configure manual bottle feeding plateform, auto cap elevator and so on.